CEHURD within the HIV/AIDS coalition has joined other civil society organizations together with academics, professional associations, public health specialists and researchers to challenge the ‘vague and criminalizing’ sections of the HIV law by filling a petition in the constitution court of Uganda. These different actors believe that criminal punishment and discrimination on the basis of HIV infection is both a legal and human rights question. The major grounds of this petition include S. 18(e) “Disclosure by the third party” which violates the right to privacy as per Article 27 of the Ugandan Constitution as well as S.41 “Attempted transmission” which also violates the right to equality and the right to dignity. These sections go on to violate the rights of patients as stipulated under the patients’ charter – a document that was developed by the ministry of health with the sole purpose of raising the standard of health care by empowering patients to responsibly demand good quality health care. Specifically, these discriminatory sections of the act gravely contradict articles 2 and 15 of the patients’ charter which speak to a patient’s right to confidentiality and privacy as well as prohibition of discrimination. 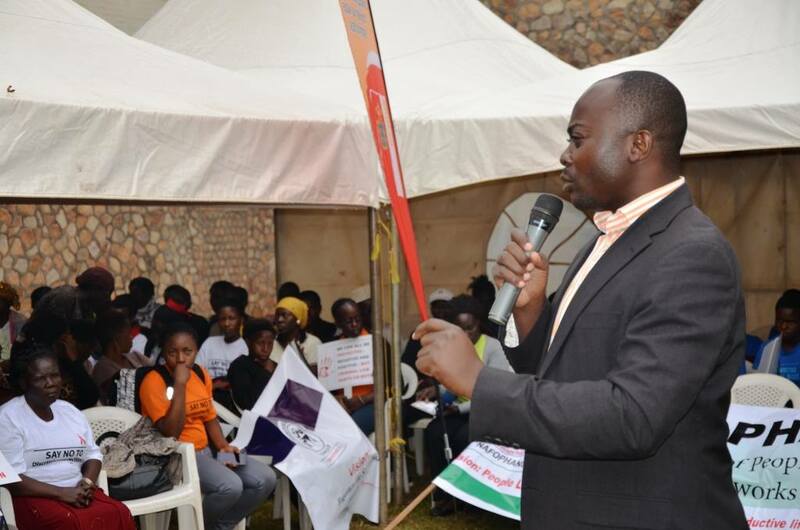 Preceding the filing of the petition at the constitutional court, a bevy of human rights activists gathered at the Uganda Museum on the 14th of July 2016. Activists from all branches of human rights were ready to take to the streets and march in support of this cause. People living with HIV/AIDS, nurses, medical workers, students, mothers with their babies, persons with disabilities, lawyers, journalists and human rights activists, clad in their T-shirts and placards, were led by the Makerere University band to TWED towers where the constitutional court resides for the petition to be filed. The major concern was that criminalizing HIV transmission and/or exposure seriously hinders public health approaches to preventing HIV transmission and also disrupts access to HIV testing, education and support services and erodes public health norms that support mutual responsibility for HIV prevention and further heightens HIV-related stigma. 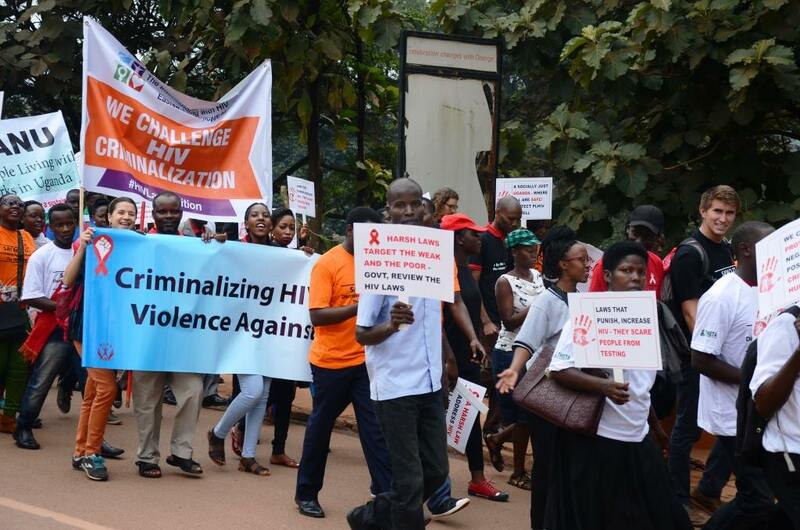 With the filing of this petition, civil society and all human rights activists hope that the government can give Ugandans a law that is not only amended, but also respectful of the rights of its citizens – even those living with HIV/AIDS.